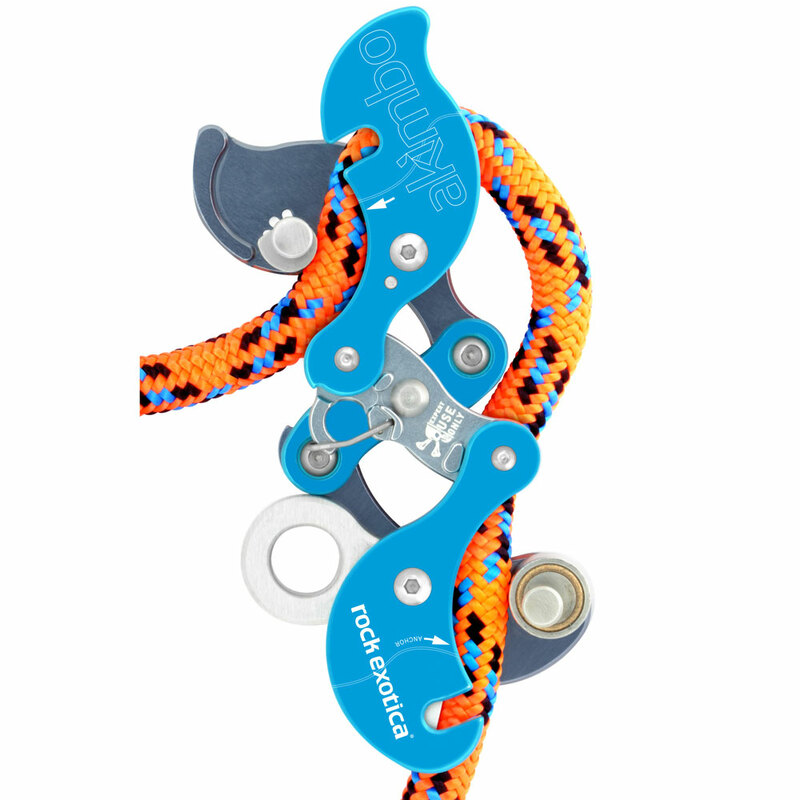 The Akimbo is a unique arborist climbing tool that enables the climber to ascend, descend and position on both stationary rope and moving rope systems. Note: The Akimbo is subject to MAP pricing and is excluded from all coupons, discounts, and other promotions. WesSpur will honor orders that were placed with a promotional discount before 11/12/18, but all future orders are subject to MAP pricing. If a coupon incorrectly applies to the Akimbo in your cart, the discount will be removed when your order is billed. UPDATE: Akimbo pre-sales are continuing, with arrivals expected into Spring. IMPORTANT: Limited quantities are expected to arrive from the manufacturer in January. Because of the demand, we are accepting pre-orders now for future shipments. Purchasing this product in pre-sale does NOT guarantee a specific shipment date. Manufacturer delays or more demand than supply may push back the date that you receive your item. Pre-sale ensures you will have your item reserved and you will receive your item before customers who bought after you. You will be charged for the pre-sale when you place your order; if you decide to release your place in line, simply let us know and we will give your spot to the next person in line and refund you. The Akimbo features rope contact surfaces (Upper and Lower Bollards) that adjust to accommodate a wide range of rope sizes to suit the climber's needs or preferences—all without tools or disassembling components. The Bollards can also be adjusted to increase or decrease friction to accommodate changes in climber weight, changes in environment, or adjust for natural wear of the Akimbo's contact surfaces. 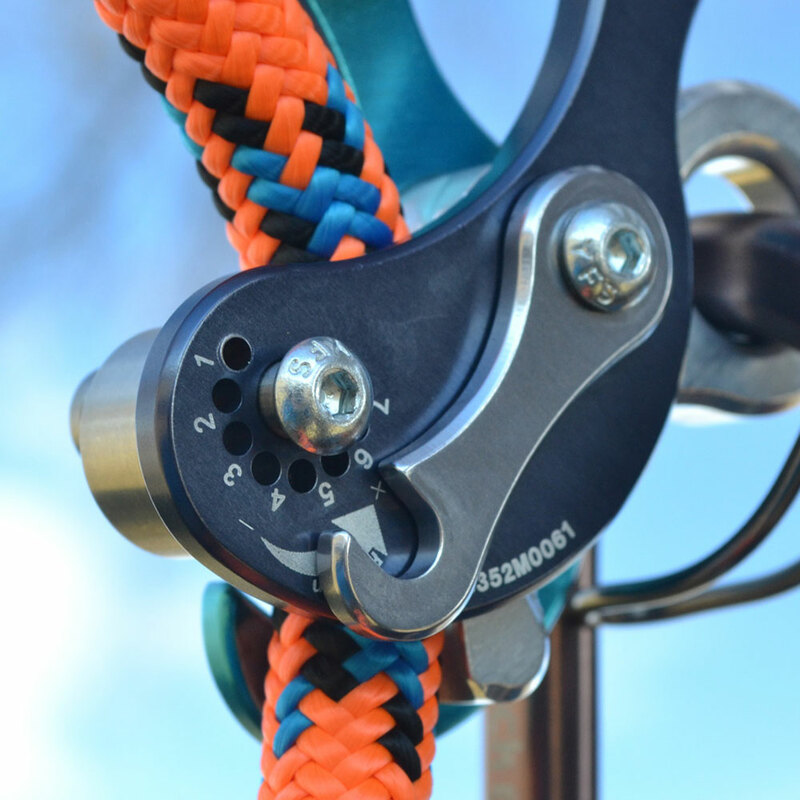 The Akimbo opens easily to remove or install a rope mid-line in seconds, and compresses back down into a compact form factor both on and off the rope. 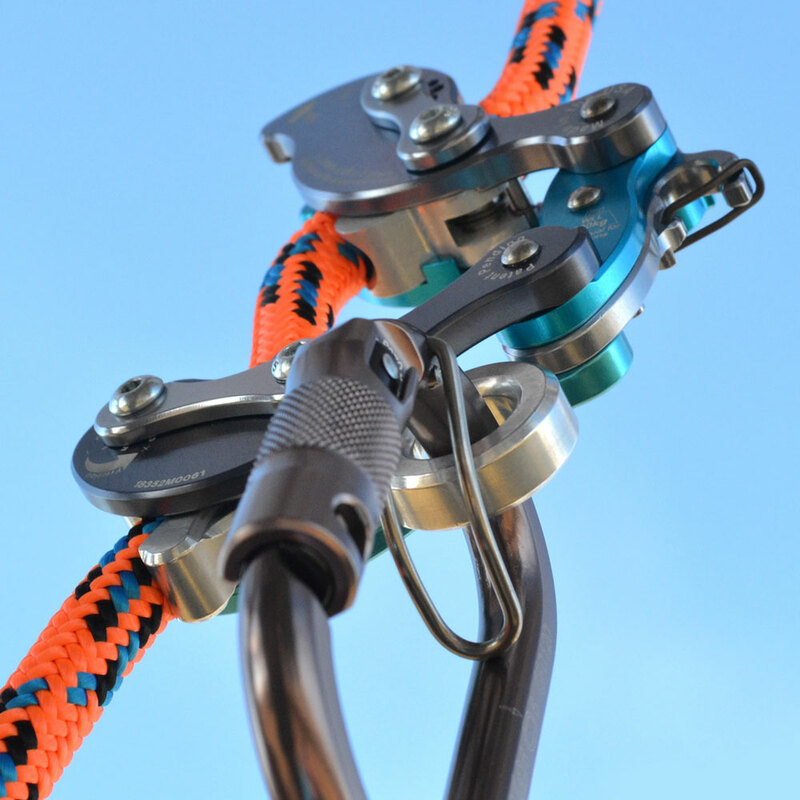 When climbing on stationary rope, the chest harness connection point facilitates quick connections by way of an innovative wire gate. 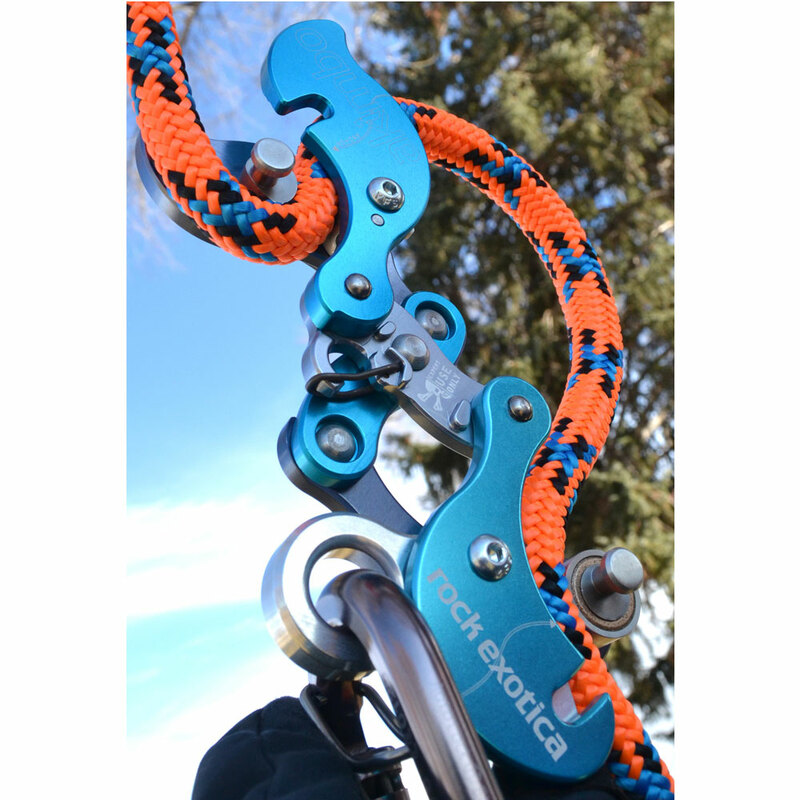 As opposed to a closed loop attachment, the wire gate conveniently allows the climber to use a small non-PPE carabiner to connect to the SRS attachment point, or directly to a loop of cord. *Rope selection will determine working load limit of the Akimbo. Only use ropes approved by Rock Exotica. See list of approved ropes below, or consult the Akimbo user instructions. 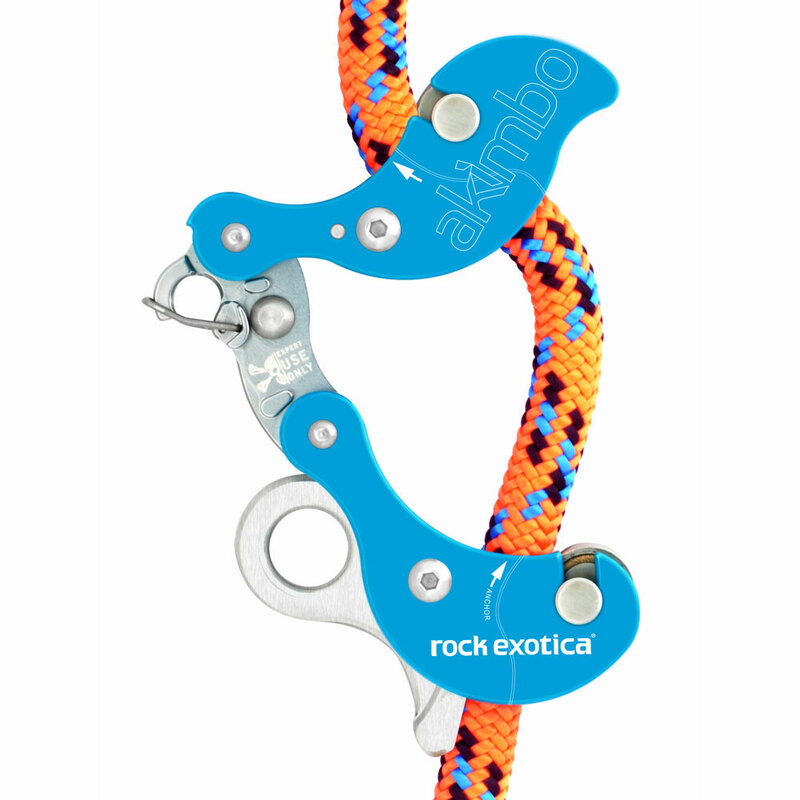 Rock Exotica has approved certain ropes for use with the Akimbo at the Working Load Limit (WLL) shown below. Only approved ropes should be used with the Akimbo. 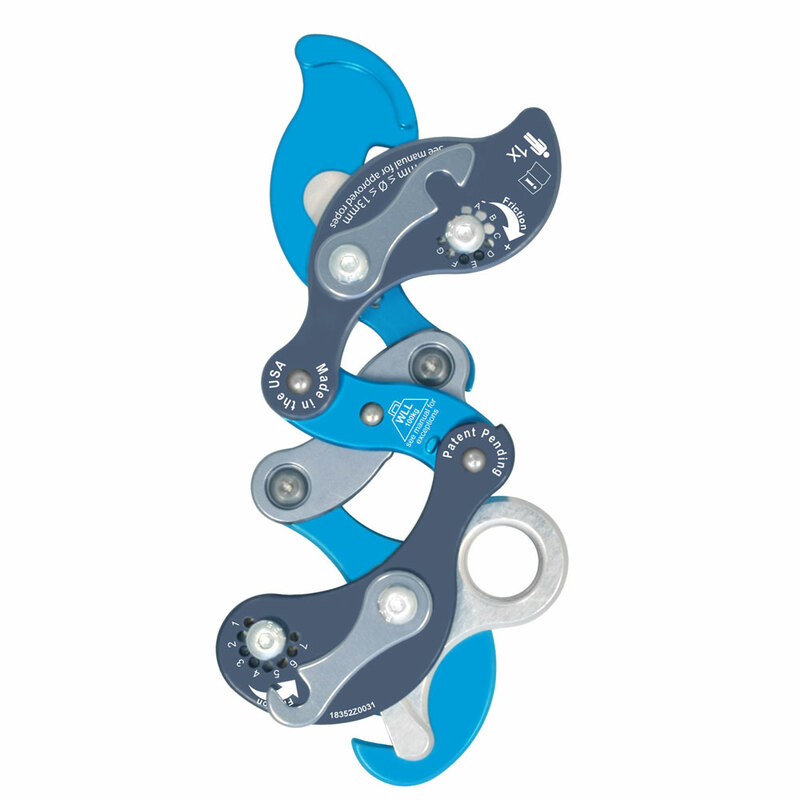 Remember, the WLL includes the climber and all of their gear. Total Working Load of the climber must not exceed the Working Load Limit for the rope listed below or slippage may occur! Environmental factors, the condition of rope, and the condition of Akimbo can all affect the suitability of rope used with the Akimbo. 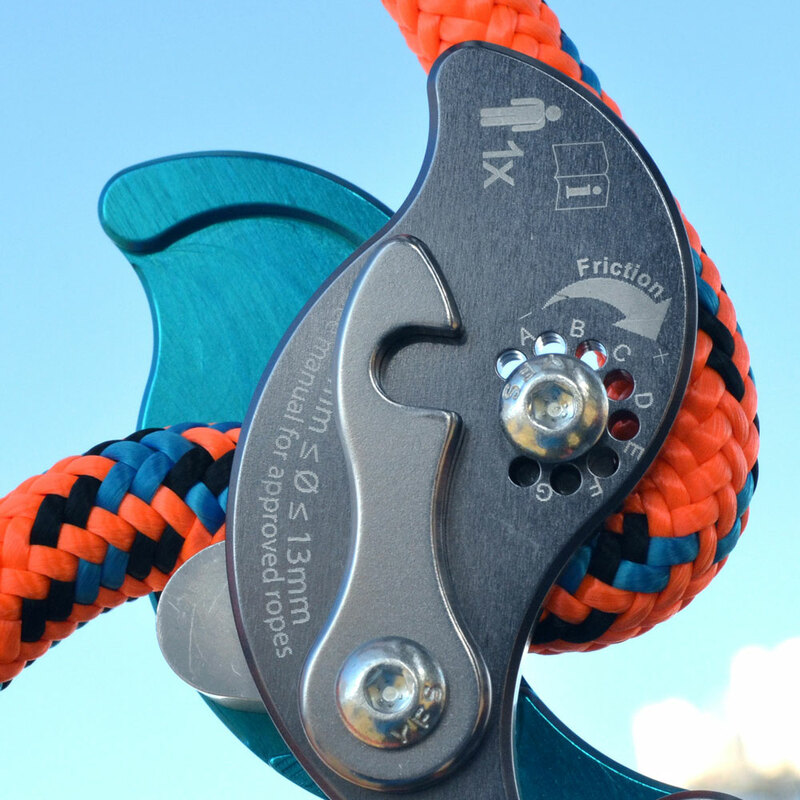 Refer to Akimbo User Instructions to test rope and verify friction settings before climbing. 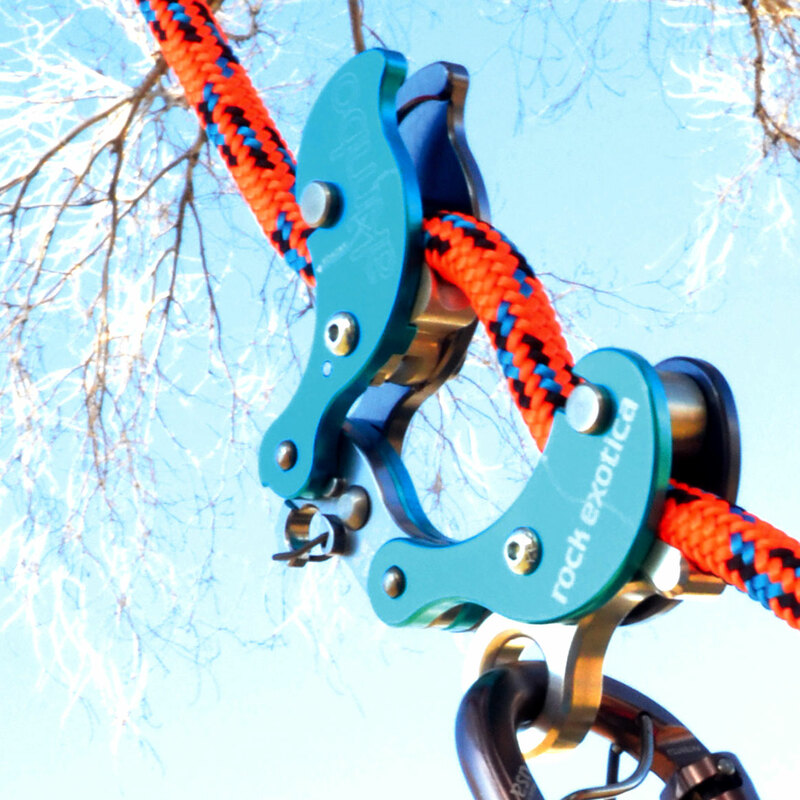 Rock Exotica will update the list of approved ropes - check WesSpur.com or Rock Exotica's site frequently. Do Not Exceed this weight on the ropes listed below!